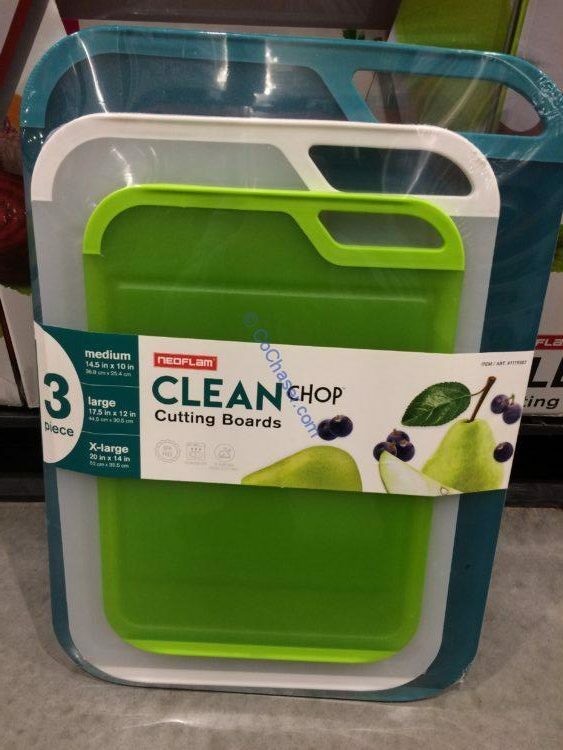 Avoid cross-contamination with this 3-piece translucent cutting board set. With a X- large, Large and medium cutting board, each in a different color, you can chop, slice and dice meats, vegetables, bread and everything you need for a complete meal. The boards are stain and odor-resistant and feature anti-microbial protection.